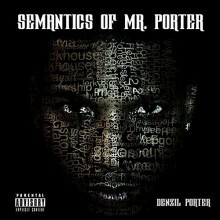 Semantics of Mr. Porter definitely owns up to its thought-provoking name. The first track, “Et Tu Brute,” is a direct reference to Caesar’s last words, “And you, Bruce?” In listening to the song, one can’t help but make the connection between the two worlds—ancient and modern—in which the way of life might have altered but the way life is hasn’t changed much at all. Porter wraps his meaning into a plethora of rhymes purposely structured around the determination one feels while chasing a dream tied to the frustration one faces in obtaining that reality. “Time Soon Come” operates semantically in much the same way, but opens the bag up further by providing a stringed instrumental background that sugars the message. As the album moves forward, Porter’s drops offer more diversity of sound in tracks such as “Right Now,” which utilizes a funk bass line as its foundation under the layered poetics of Chris Rivers, and “”What It Takes,” in which a less heavy ear-catching piano riff compliments Oswin Benjamin’s “Do you know what it takes?” call-and-response lines. But the most riveting instances on the album happen in the form of narrative vignettes Porter mixes into his bowl of conscious thoughts. These six cut-ins provide a first-person story of a robbery, from the planning stage to the end result, and demonstrate Porter’s commitment to describing real-life choices that mark a person in ways one can’t fully comprehend until it’s too late. 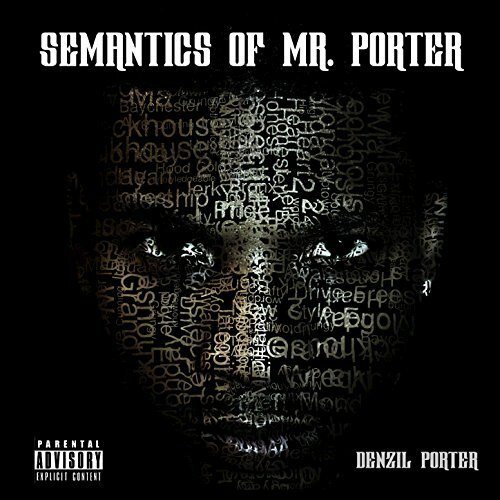 From his tongue-twisting rhymes and his mind-twisting thoughts, Denzil Porter is definitely a force to be reckoned with. He may not be your typical rapper, but in his own style Porter aims to inspire his listeners; to uplift them and others around them. When you open the door to Semantics of Mr. Porter, you might get more than you bargained for, but your bag of conscious candy will provide you with unexpected surprises long after the last echoes of Porter’s voice fades into the darkness.